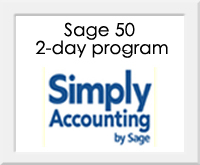 Content: This course covers the basics and beyond of using Sage 50 as an accounting tool for your business. One on one or Group Tutoring available. Complete interactive training - complete this course in as little as 6 hours.